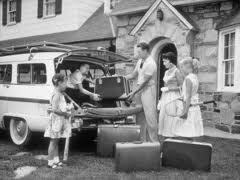 Summer is the time that many of us get in the car, hit the road and visit the relatives. For many of us, these are folks we haven't seen in awhile and they may not be fully aware how much food allergies can affect our lives. Also, there can be more family baggage involved than simply what you've packed in the trunk of your car. Some family members are ready and willing to help accommodate a severe food allergy. They understand that it's not a food preference, but a medical condition and they accept the dangers. Other family members are less receptive and/or less informed about it so it's going to be your job to be proactive so that you can have fun and also, a safe trip. Family relationships can get strained over food allergies, but there are some things you can do to help. - Call ahead. Don't just show up at your appointed time and expect everything to go smoothly. Especially if you're staying with relatives and even if you aren't, give a shout out and discuss the food allergy situation. You will want to give people a heads up about foods to avoid but also you want to reassure your family that you will help provide safe meals and won't leave it all up to them. - Bring food. Pack enough non-perishable safe treats, either homemade or from places like Enjoy Life Foods or Divvies so that your allergic child is not left without good stuff during family meals or snack times. Stocking up will also save you and your family the stress of last-minute grocery runs or overheated discussions about "just one bite won't hurt" and "why can't he have the plain M&Ms?" etc. - Be fun. Food is part of the social fabric that holds families together but it can also be divisive if you're dealing with food allergies, so don't let all the focus go to the food. Once you arrive, organize a family vs. family soccer game, go to a movie or beach or bring your favorite board game and engage everyone in a fun activity that doesn't revolve around food. Everyone will be having too much fun to comment on what your kid is or isn't eating. - Plan activities that allow you to bring your own meals. If you're visiting a zoo or amusement park, for example, you will want to make sure you can bring a picnic lunch so that you don't have to rely on the food allergy-unsafe food options found at these places. Everyone loves a picnic, so help pack a good one and then you can focus on the activity instead of finding what so often turns out to be as easy as finding a needle in a haystack -- a "safe" lunch or dinner while out and about. Great tips. We have good friends that often invite us to join them at the beach. I always bring a homemade dessert in a cooler with me: one benefit is it is a nice thank you gift for a lovely invitation and separately everyone can enjoy a nice and safe treat together. I find they also appreciate it because there's no bother looking for safe treats there, everyone can just relax. So I totally support bringing your own food - and when you can, bring food for everyone! I totally agree! I find that if you prep in advance and let people know about your child's anaphylaxis things go much more smoothly. I'd like to add, now that my son is old enough to ask if things have peanuts in them and explain he can't have food unless he asks his parents first, I breath a bit easier. Thanks for the article! These are really helpful tips for me. Do Food Allergies Result in Healthier Eating?